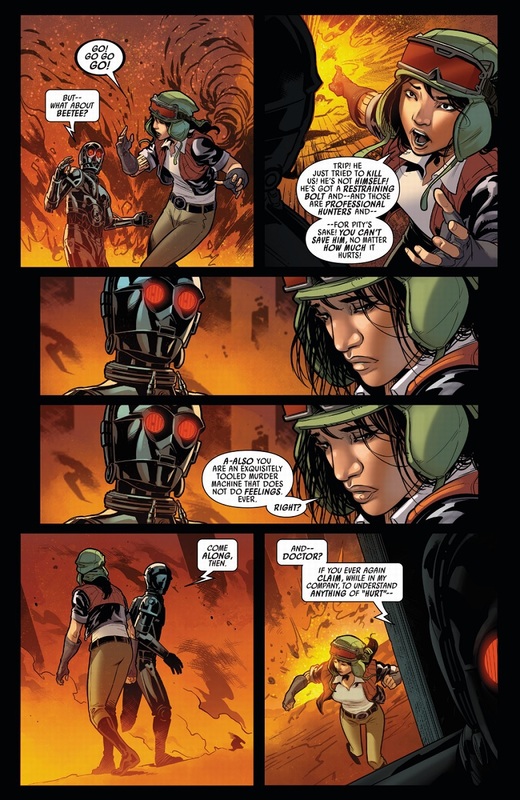 scans_daily | Star Wars: Doctor Aphra #28 - "Worst Among Equals, Part III"
I feel like Aphra deserved that. 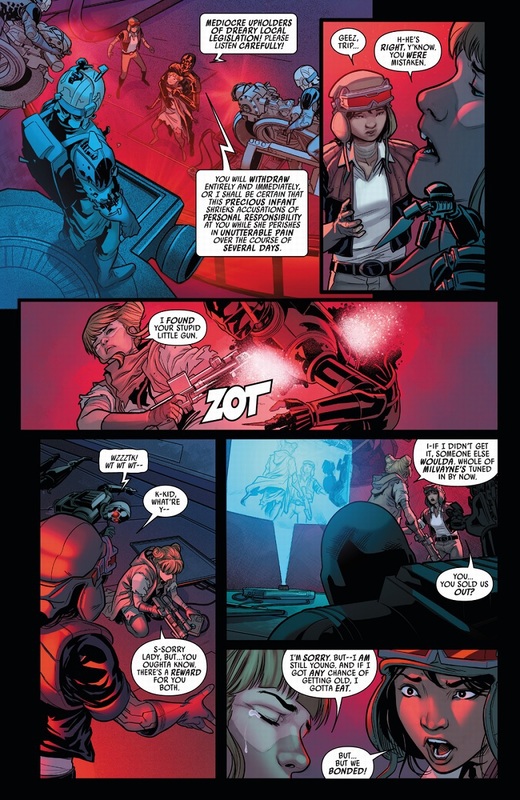 That's what she gets for being a Star Wars character with any self awareness and/or moral ambiguity! 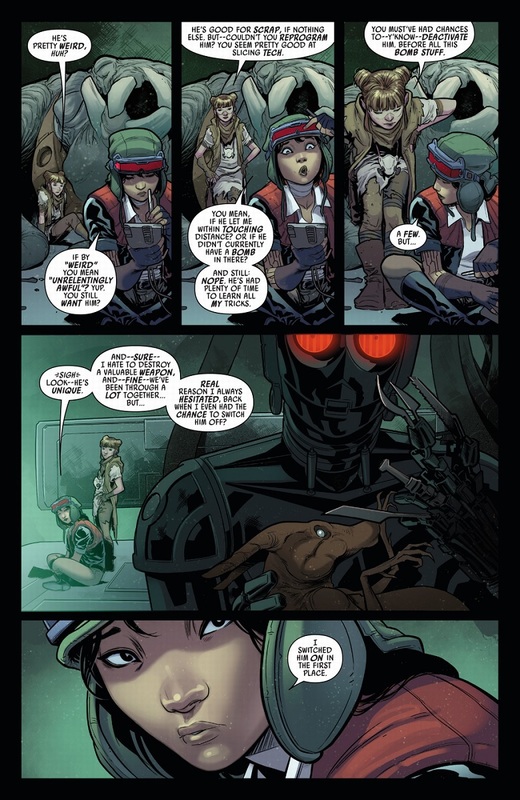 There isn't much moral ambiguity about Aphra. She's just straight up horrible. 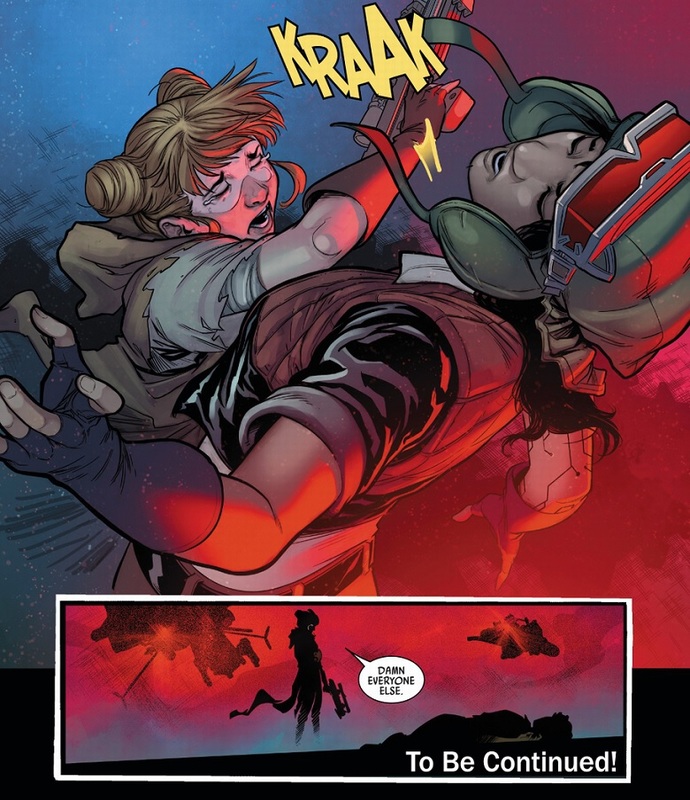 I'd say there's more to her than that, and this issue almost painstakingly spelled out what: she's a very moral person but only when it doesn't really count. She feels all kinds of anguish about the bad things she's done but when push comes to shove, she'll do them again and again. Whether that makes her better than a straight-up psycho like Trip or worse is, to me, an interesting question, though I think it's fair to say that many readers have made up their minds on it. 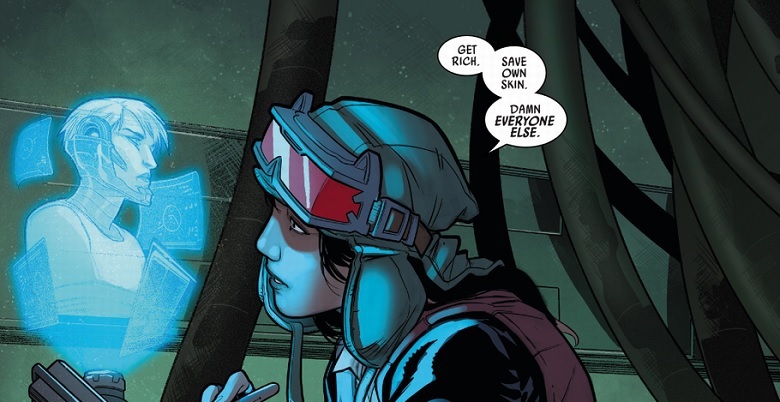 Like don't get me wrong, I like Aphra (though i think her kind of character by nature has a limited shelf-life, at some point she's going to come to the end of her rope, or mend her ways, either of which ends the character as-is) but she's not really particularly ambigious. Sure... but I didn't say ambiguous, just somewhat rounded. 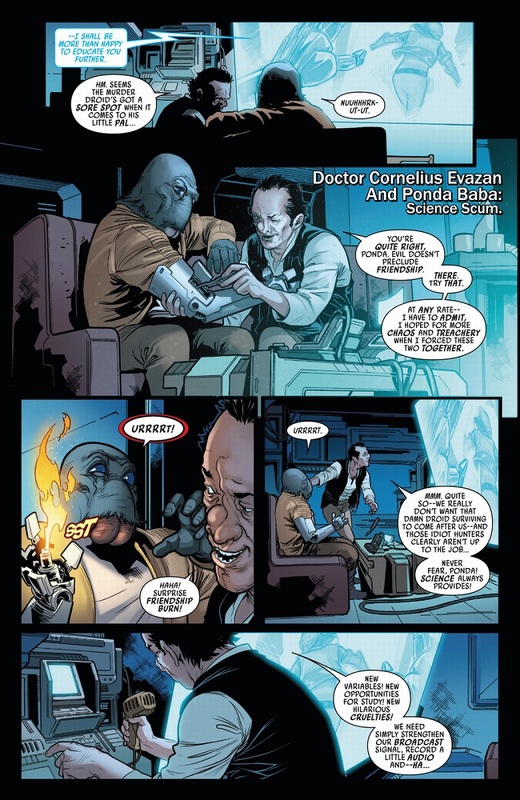 "Straight-up horrible" seems like a better descriptor for, say, the Emperor or Jabba the Hutt. 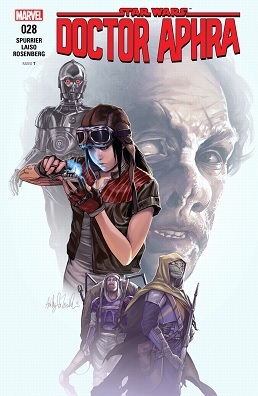 It's Aphra. She'll somehow manage to escape, screw everyone else over, and be horrible about it. 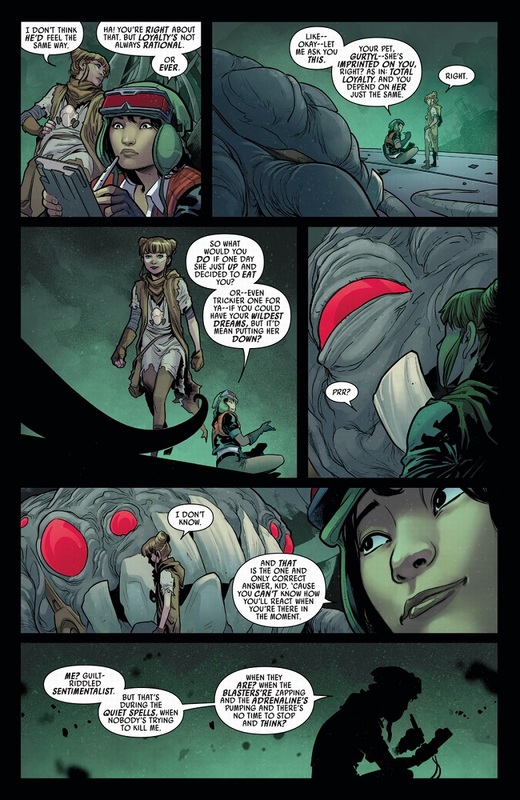 And then quietly lament about the fact that she just can't seem to stop being horrible. 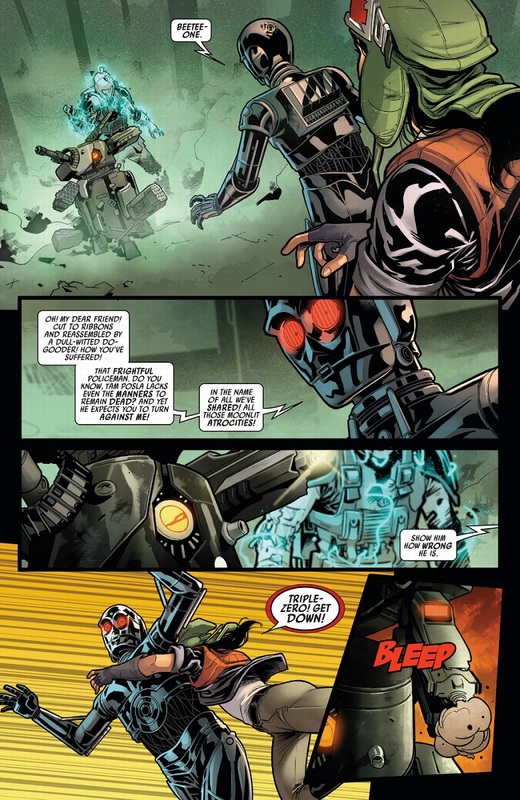 I feel like you're implying Spurrier is not as good of a writer as Gillen and unable to handle a character like this with the requisite amount of subtlety, but that can't be possible.